Sometimes when you’re out photowalking, you’re faced with the decision to go into no trespassing territory or to turn back. Recently during a short 1-mile photowalk around my neighborhood, I came across this road. Turns out that it’s a driveway to a private farm. I made the decision to obey the sign that says no trespassing. Maybe in the future I’ll go back and start walking down the path to see more of the land. 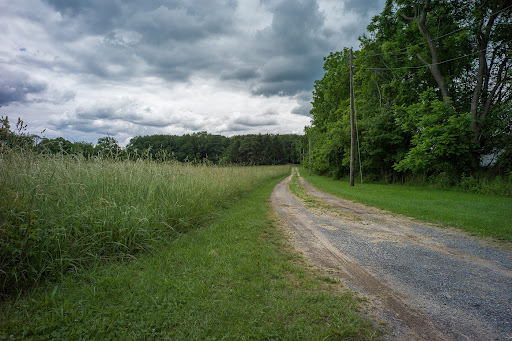 This was shot with the +Leica Camera M9 at 25mm, f/9.5, 1/250 in Manalapan, New Jersey. Processing included Lightroom and +onOne Software Perfect Photo Suite.